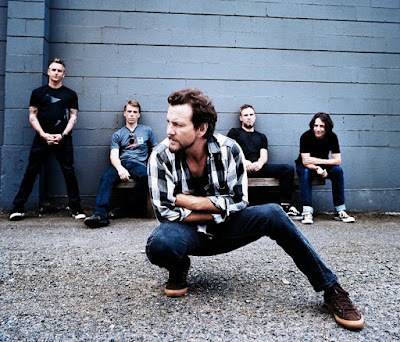 Pearl Jam performed the 1977 Aerosmith classic, “Draw The Line”, during the encore of the first of two nights at Boston’s Fenway Park on August 5. Part of a 32-song set, it was the Seattle band’s first time playing the track in concert and they dedicated the occasion to one of its co-writers. "That was for Joe Perry,” said frontman Eddie Vedder. “We're thinking about you." Perry collapsed after he was seen stumbling off stage during a July 10 concert by The Hollywood Vampires in Coney Island, NY. According to source on the secene, the guitarist reportedly lost consciousness and apparently went into cardiac arrest, with police on the scene reviving him. Following a hospital stay, Perry rejoined the supergroup – led by Alice Cooper and Johnny Depp – just 12 days later and played the final four dates of their summer tour. Pearl Jam played a second show at Fenway Park on August 7, and will wrap up their 2016 tour with two nights at Chicago, IL’s Wrigley Field on August 20 and 22.